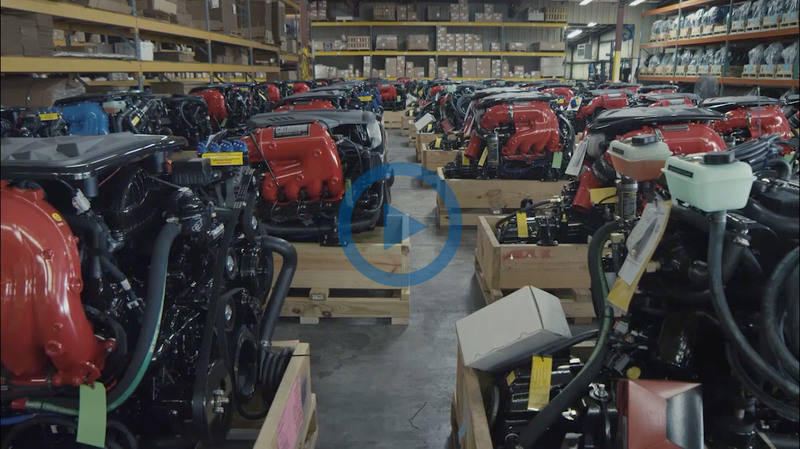 Pleasurecraft Engine Group manufactures four engine brands, PCM, Crusader, Challenger, and Levitator, from its headquarters in Little Mountain, South Carolina. For over forty years Pleasurecraft has led the industry in providing the highest quality, most innovative inboard engines, backed with exceptional service. For over 58 years, Crusader Engines have provided premium power with superior performance, durability, and overall customer satisfaction for the world’s finest inboard motor yachts, cruisers, and sport-fishing boats. Crusader’s Challenger series of engines offer a high quality, cost effective product for towed watersports applications creating a great value equation. In-house design and marinization allow for accurate quality and cost control, further enhancing the premium value of the product. For over 40 years PCM has provided the highest quality, longest lasting, and top-performing watersports engine available becoming the recognized leader in inboard watersports engines. Over the years PCM has become renowned for introducing innovative products with industry leading technology, holding patents for numerous technologies that offer PCM customers exclusive benefits. Levitator Performance Airboat Engines feature the industry’s first certified, green, environmentally friendly airboat engine with outstanding performance and durability. Continuing to revolutionize the industry, Levitator offers the leading airboat manufacturers a supercharged engine that provides industry-leading torque for its horsepower class while remaining durable and reliable.